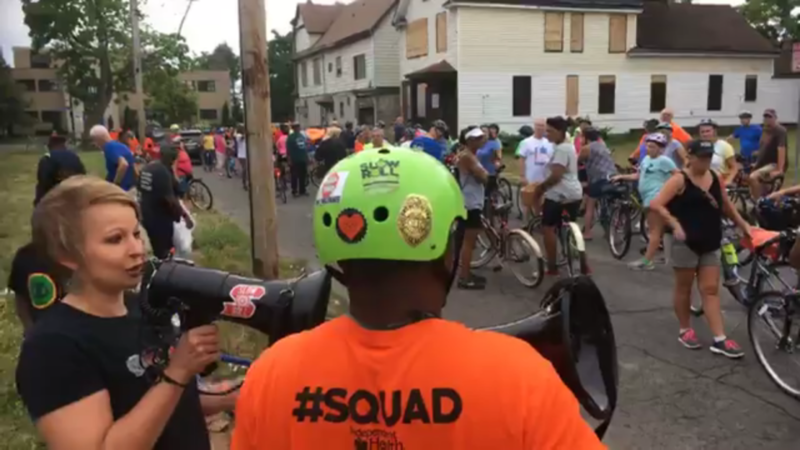 On Monday, July 23, a few hundred cyclists rolled through the neighborhood on the weekly Slow Roll Buffalo ride, and we had the opportunity to tell them all about the great work we do in the community! Check out our “Stakeholder Spotlight” interview with Slow Roll here. 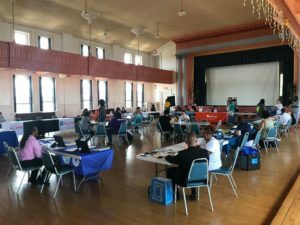 On Friday, July 13, 2018 the Matt Urban Center collaborated with A Team of Hope to host a community resource event at 1081 Broadway to provide support to neighborhood residents and families who have been affected by violent crime in our community. 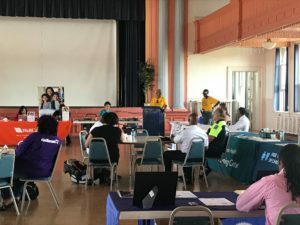 The Matt Urban Center’s Crime Victims Assistance Program, Youth and Community Services Department, and Hope Services team shared information on the programs and services we provide. 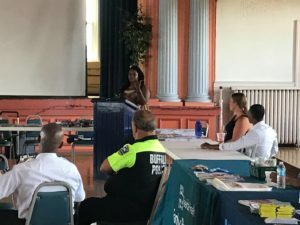 A variety of community service partners were present to speak and share their resources, including Buffalo Peacemakers, SNUG, the Stop the Violence Coalition, Community Access Services, and Teens in Progress. We also had representatives from WellCare, Fallon Health, Lombardo Funeral Services, and BlueCross BlueShield of WNY. 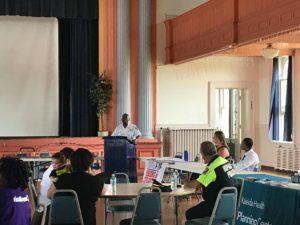 We were honored to have our Erie County Legislator April Baskin, Buffalo Police Department Commissioner Lockwood, and the BPD Neighborhood Engagement Team present to speak and connect with residents. Thank you to all who attended and showed support for the residents of our community!